Stick witch Meg and her scraggly cat Mog don’t need any help to get you laughing. Add a pirate and a parrot into the mix? It’s a magical brew. Hurray: it’s the first new Meg and Mog book for years. And we think it’s already a classic. Just one glance at these two – drawn in rich, bright cartoons – will make you laugh till you fall off your chair. 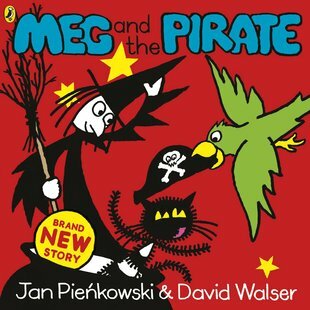 After landing with a BUMP on a treasure island, Meg casts a magic spell on a peg-legged pirate. She wants to help him find buried treasure. Will they strike gold? One thing’s for sure: you just have.